“Life in England” is a series of short stories, each looking at a realistic aspect of day-to-day life in an English-speaking country. 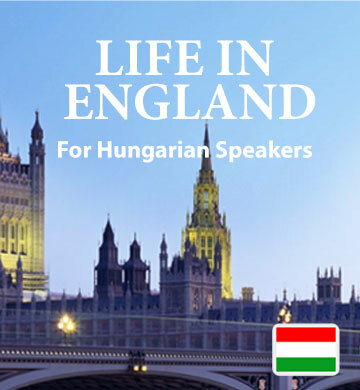 Because the book is drawn from real life, Hungarian speakers will gain a true understanding of the way English is actually used by native speakers. Whether you’re considering immigration or just a short vacation, this downloadable book and accompanying audio track is a great introduction to vocabulary, pronunciation, and grammar. Your understanding will grow naturally every time you revisit these stories. Now when you purchase this book, you also get the Easilang mobile app, which lets you keep learning with your phone or mobile device, whenever and wherever you have some spare time.